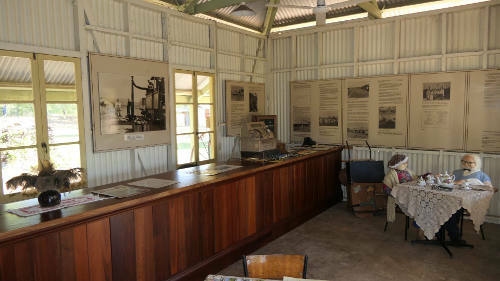 The Adelaide River Railway Heritage precinct displays much of the original equipment from the rail line originally built in the 1880's to service the Pine Creek goldfields. 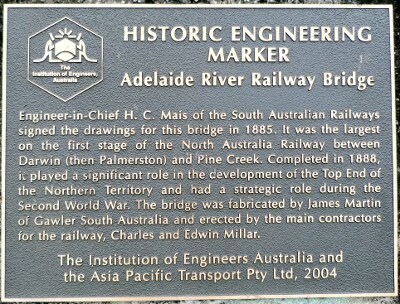 The bridge over the Adelaide River was completed in 1888 and the line reached Pine Creek in 1889. 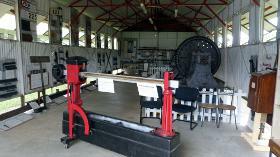 It was extended to Katherine in 1917 and further south to Birdum Creek in 1929. 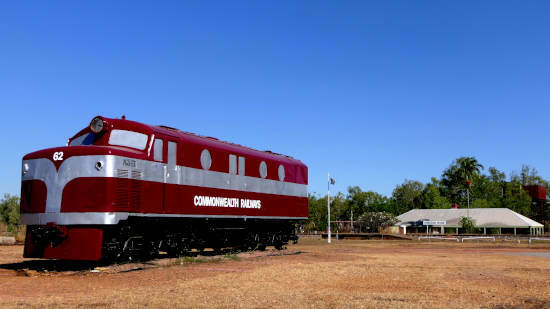 The dream of a rail link connecting the North and South of the continent would not be realized until 2004 when the first train travelled from Adelaide to Darwin. 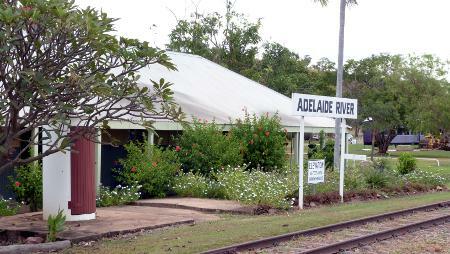 Until it was officially closed in 1981, the rail played an important part in the NT. 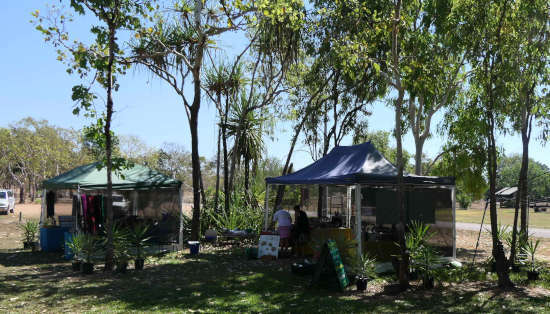 It's busiest period was during the Second World War when Adelaide River was a military base for both American and Australian armed forces. 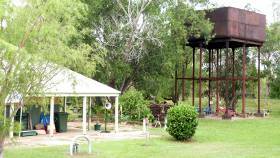 Japanese bombers struck the area in October 1942 and again on 13 November which was the last bombing raid on the Australian mainland. 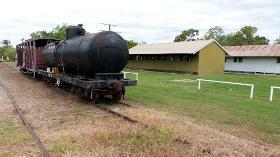 Restored rolling stock and sheds. 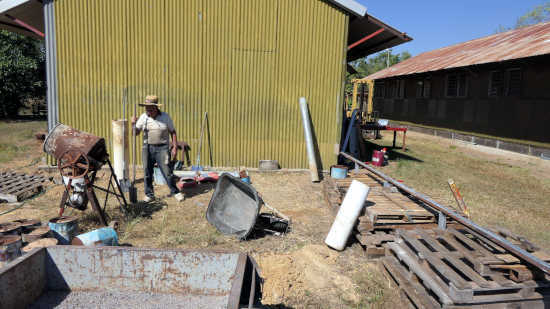 Rusting evidence of this wartime activity can be seen in the displays in the freight sheds with machine guns, ammunition, supply cases and other items from the period. 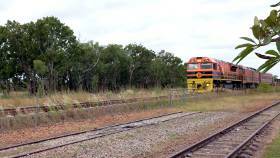 The rail siding at Snake Creek, just north of the town, was used as a RAAF depot as late as 1967. 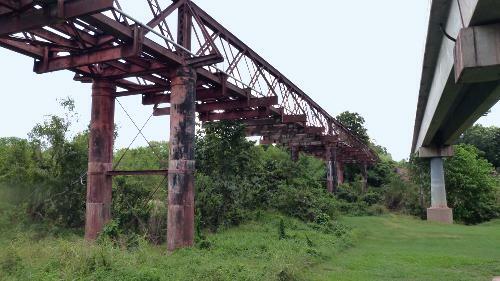 Iron ore deposits at Frances Creek provided another lifespan for the railway, which was upgraded to handle ore trains to Darwin for export to Japan. 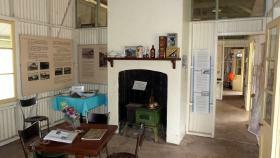 Enthusiastic volunteers have created many historic displays. 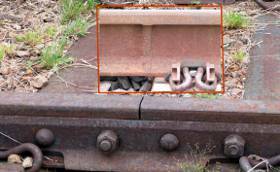 Extensive work by volunteers has restored and documented this rail history. 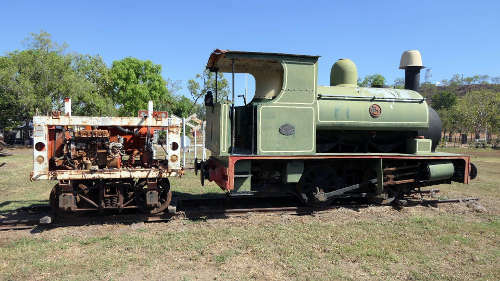 The Friends of the North Australian Railway at Adelaide River Inc hopes to one day operate a heritage train between Adelaide River and Snake Creek. 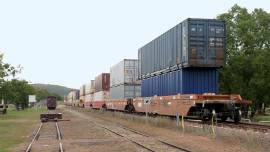 A modern freight train announces it's arrival with loud whistles and takes forever to pass the station. takes forever to roll on by. 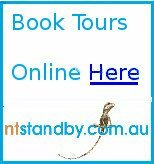 Learn more about Australia's railways and tramways. 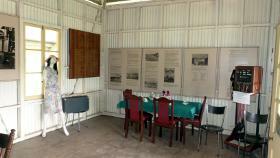 Return to Enjoy Darwin Home.